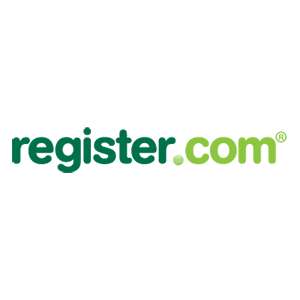 Register.com provides domain name registration and web hosting services for businesses of all sizes. It offers a free domain name, email accounts, and website building and management tools. In this article, we cover Register.com reviews and pricing. Ready to get started? Visit its website. Register.com pricing is based on three subscription options: Essential ($14.95/month), Professional ($18.95/month), and Premium ($36.95/month). The main differences between the plans include the size of disk space and MySQL Database, as well as the number of email inboxes and FTP accounts. The prices displayed above are regular rates. Discounted and reduced introductory prices are offered by the company on a regular basis. Ready to get started with Register.com? Visit its website. As of the date this article was written (April 9, 2019), there are not a lot of positive reviews about Register.com online. If you are a past or current Register.com customer, leave a review to help other small business owners who are deciding whether or not to use its services. Users who gave Register.com a negative review complained about expensive renewal rates and difficulties in canceling accounts. They also reported faulty websites, downtimes, and system glitches. One user who gave Register.com a negative review on WhoIsHostingThis said that she signed up for the service to take advantage of the cheap introductory rate and canceled her account after a year due to the huge jump in pricing. She said that she was bombarded with emails to renew and that the company tried to charge her with the new fees even though she didn’t sign up for automatic renewal. She noted that the only reason why she wasn’t charged was that the credit card she originally used to sign up already expired. What operating systems does Register.com support? Register.com supports Unix and Windows operating systems. What programming languages can be used to host sites in Register.com? Register.com supports Ruby on Rails (Unix only), PHP 5, Zend Libraries (Unix only), Python, JSP (Unix only), ASP (Windows only), ASP.NET 2.0, and ASP.NET 4.0 (Windows only). Have you read these Register.com reviews and are still not sure if it’s the right fit for you? Read our reviews of all top web hosting providers or check out one of these three Register.com alternatives.